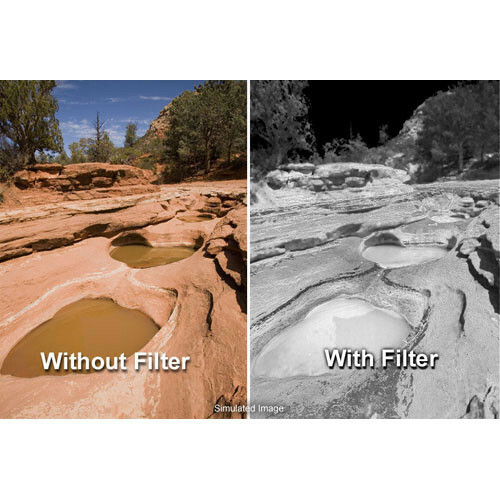 Kodak 4 x 12" 87A Opaque Infrared Wratten 2 Gel Filter - This black infrared filter will filter out the entire visible spectrum. It is used with black and white infrared films with a sensitivity up to approximately 1000nm. Filter factor is determined by the film sensitivity. Most Kodak gelatin filters are available in 3 x 3" (75 x 75mm), 4 x 4" (100 x 100mm), 6 x 6" (150 x 150mm), 14 x 18" (350 x 450mm) and 4 x 12" (10.2 x 30.5mm). Box Dimensions (LxWxH) 15.0 x 5.0 x 0.1"